From Forthcoming Album "New Freedom Blues,"
Noted bluegrass group Town Mountain unveils “Down Low” featuring Tyler Childers, the third single from their forthcoming record. A few years ago, banjo player Jesse Langlais and Childers teamed up to write what would become the closing cut for their forthcoming record, New Freedom Blues . "To me, 'Down Low' has a Waylon vibe, which is a damn good vibe to have," Langlais said. "My favorite line in the song, which was a Tyler line, is, 'I've been getting into meanness on the dark end of the street.' Ahh, that's downright lonesome." The track is available now on Amazon , Apple Music and Spotify . 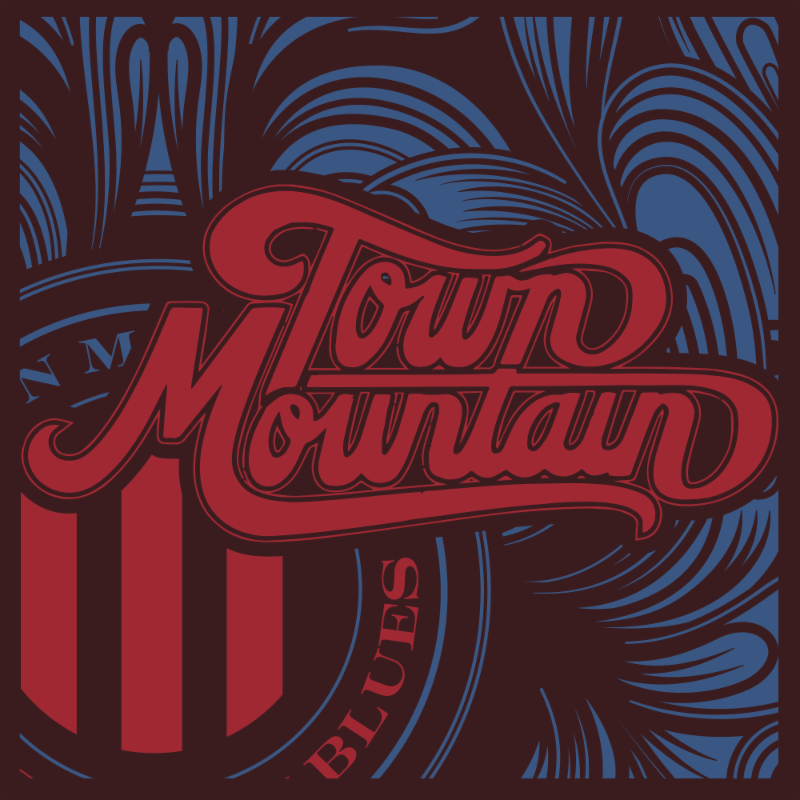 Set for release on October 26, "New Freedom Blues" and Town Mountain’s upbeat, live performances have been praised by outlets like the Bluegrass Situation, SiriusXM, No Depression, American Songwriter and Rolling Stone, who recently named the group an Artist You Need to Know. Town Mountain will appear at IBMA and continue on a Southeast tour throughout November, proceeding a December tour with Tyler Childers (full dates below). "New Freedom Blues" was recorded at Asheville's iconic Echo Mountain Studios with producer Caleb Klauder; the 11 tracks that comprise the album span the sum total of the band's eclectic influences, from traditional bluegrass to roots pop to hardscrabble honky tonk. The album also marks the first time the band brought a drummer – Sturgill Simpson collaborator Miles Miller – into the studio. Town Mountain is Langlais, Barker, vocalist/guitarist Robert Greer, fiddle player Bobby Britt and bassist Zach Smith. Since releasing their debut album Original Bluegrass and Roots Country in 2007, Town Mountain have made a name for themselves in bluegrass and roots circuits and have amassed a sizable catalog of original songs. They've toured with a who's who of like-minded artists, including Ralph Stanley and His Clinch Mountain Boys, the Del McCoury Band, Greensky Bluegrass, Yonder Mountain String Band and many others. Southern Crescent debuted at number four on Billboard's Bluegrass Chart, and held strong in the Americana Music Association's Radio Chart Top Forty for 10 weeks. In 2016, Town Mountain made their Grand Ole Opry debut, performing both at the Opry House and at the famed Ryman Auditorium.